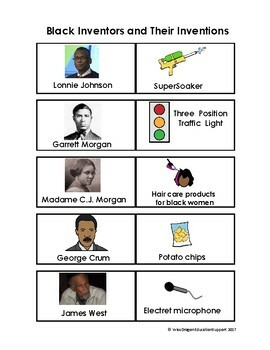 This activity is part of a unit of emerging reading passages and activities. 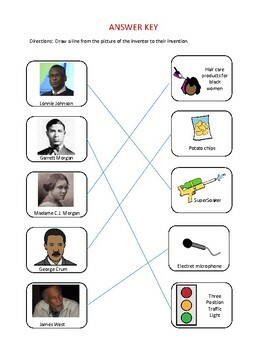 The students are given a poster that shows 5 black inventors and their inventions. 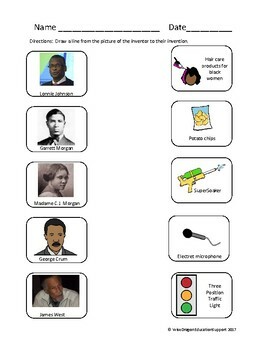 Then there is an activity for matching the inventor to the invention. 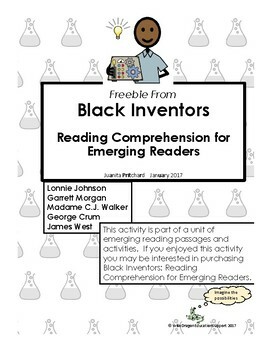 If you enjoyed this activity you may be interested in purchasing Black Inventors: Reading Comprehension for Emerging Readers.